Nowhere is the imprint of the pattern of history on the landscape more evident than from the air. 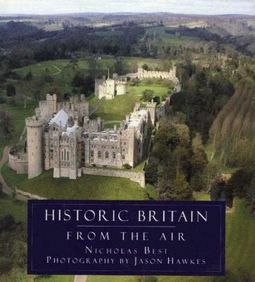 Britain's great palaces, castles, country houses and their estates, historic towns and villages are seldom seen except from ground level. Aerial photography provides a much larger picture: the lie of the land, the topography of a battlefield, a shipyard on the edge of an estuary, a canal snaking its way through a highland fault - all are more vivid when viewed with a bird's eye.Travelling from the invasion coast of south-east England, with its many traces of successive waves of invaders, to the farthest reaches of Scotland, whose solitary, battlemented castles recall centuries of rebellion and unrest, author Nicholas Best and aerial photographer Jason Hawkes record the ebb and flow of history on the ground beneath them.